ATHENS, Greece, March 18, 2019 /PRNewswire/ -- Europe, Univar Hellas Ltd., a subsidiary of Univar Inc. (NYSE: UNVR) ("Univar Solutions"), a global chemical and ingredient distributor and provider of value-added services, announced today that Dow Europe GmbH, a subsidiary of The Dow Chemical Company ("Dow"), has expanded the Dow beauty care specialties organic product range distribution by Univar Solutions in Greece. This marks an expanded agreement with Dow where Univar Solutions increases its offering for the beauty and personal care market. Univar Solutions - Innovate. Grow. Together. Through the expanded agreement, Univar Solutions will market and sell the full range of Dow's personal care specialty ingredients in Greece. In addition to DOWSIL™, the Univar Solutions line of Dow products will include ACUDYNE™ hair styling polymers, ACULYN™ rheology modifiers, OPULYN™ opacifiers, SUNSPHERES™ SPF boosters, CARBITOLTM solvents, ECOSMOOTH™ polymer sensory additives, ECOSENSE™ surfactants, EPITEX™ polymers, ETHOCEL™ ethylcellulose polymers, METHOCEL™ cellulose ether, POLYOX™ resins, SOFTCAT™ conditioning polymers, UCARE™ conditioning polymers, CELLOSIZE™ polymers, WALOCEL™ carboxymethyl cellulose, UCON™ fluids and lubricants, SOLTEX™ water resistant polymers and AGECAP™ smooth cosmetic ingredient. "We're very pleased to expand our agreement with Dow in this strategic market segment as we continue our consistent focus on delivering strong technical expertise backed by local commercial execution," said Ana Batalla, beauty and personal care head of sales in Europe, Middle East and Africa for Univar Solutions. "We are confident that the Greek cosmetic producers will enjoy the benefits of having access to a wide range of key ingredients to include in their new creations supported by a complete suite of technical and innovative marketing tools from our highly experienced beauty and personal care team." With access to a large and prestigious portfolio of beauty and personal care solutions, Univar Solutions offers strong market coverage and industry expertise to supplier partners around the globe. "We have a long-standing and successful relationship with Univar Solutions in many different territories and value their commitment to our business as well as their sales and marketing expertise as we look to expand these important products into the Greek personal care markets," said Ivan Mini, Dow Consumer Solutions distribution director with Dow. "The technical knowledge of Univar Solutions' support team and on-the-ground presence provides a real benefit when it comes to promoting these specialties." 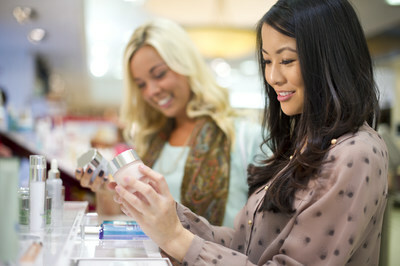 "Our growing cooperation with Dow creates advantages for stakeholders by providing the right product solution for customer requirements throughout the Europe, Middle East and Africa region," noted Dario Magni, beauty and personal care industry director in Europe, Middle East and Africa for Univar Solutions. 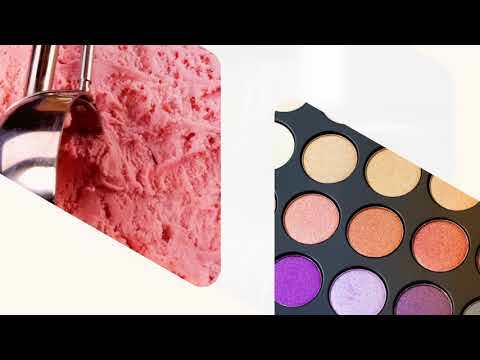 Univar Solutions' dedicated specialists will be at stand A70 during the upcoming 'in-cosmetics®' global trade show event happening in Paris from April 2-4, 2019. Dow combines science and technology knowledge to develop premier materials science solutions that are essential to human progress. Dow has one of the strongest and broadest toolkits in the industry, with robust technology, asset integration, scale and competitive capabilities that help it to address complex global issues. Dow's market-driven, industry-leading portfolio of advanced materials, industrial intermediates and plastics businesses deliver a broad range of differentiated technology-based products and solutions for customers in high-growth markets such as packaging, infrastructure and consumer care. Dow is a subsidiary of DowDuPont Inc., a holding company comprised of Dow and DuPont with the intent to form three strong, independent, publicly traded companies in agriculture, materials science and specialty sectors. More information can be found at dow.com.